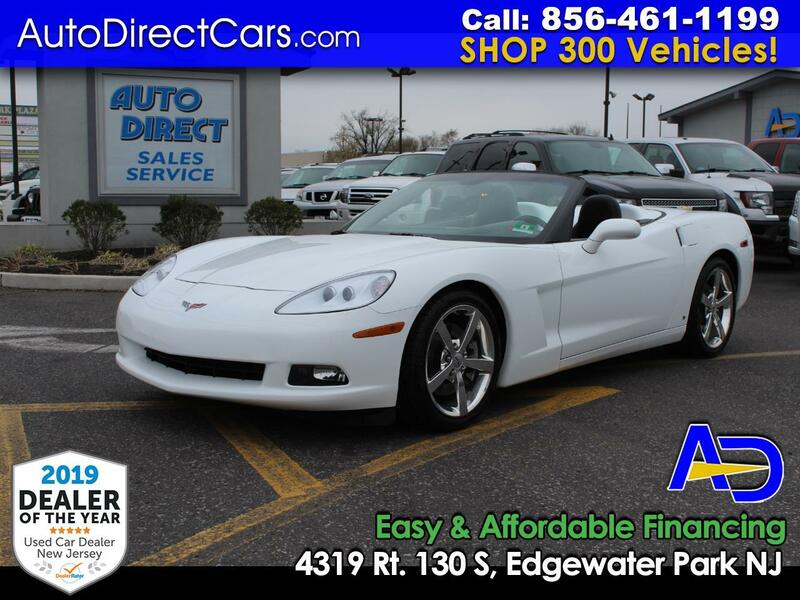 ***PURCHASED OUT OF A PRIVATE CORVETTE COLLECTION EXTREMELY RARE 21,723 ORIGINAL CARFAX CERTIFIED MILES FULLY LOADED 2008 CHEVROLET CORVETTE V8 6-SPEED MANUAL 2-DR CONVERTIBLE. CAR FAX CERTIFIED. THIS CORVETTE IS IN PERFECT PRISTINE CONDITION. LOADED WITH ALL FACTORY OPTIONS FEATURING CHROME WHEELS, OVER HEAD DISPLAY, BLACK LEATHER INTERIOR, HEATED SEATS, POWER SEATS, PUSH BUTTON IGNITION, PREMIUM SOUND SYSTEM AND MORE. PRE QUALIFIED EASY AND AFFORDABLE FINANCING AVAILABLE. TRADE INS WELCOME. STOP BY & VISIT OUR HUGE INDOOR SHOWROOM.